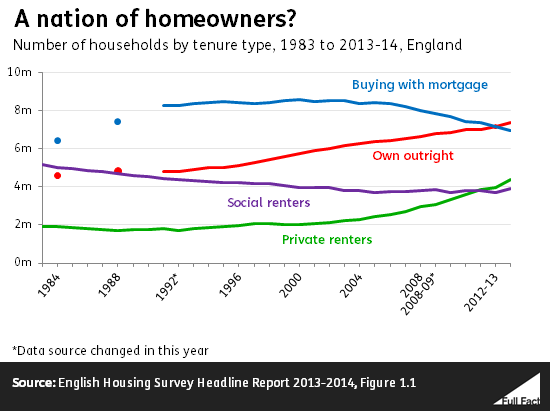 Owner occupation in England currently accounts for 63% of all households—along with private renters (19%) and those in the social rented sector (17%). Yet despite being the largest, the group's size has steadily declined since 2003, when it had reached a 71% peak (after rising since the 1980s). But the number buying with a mortgage has been in constant decline since the mid-2000s, and are now at levels last seen in the 1980s; the number of outright owners is rising. We have previously covered possible reasons for the decline, including rising house prices and the disparity between prices and the average buyer's earnings. 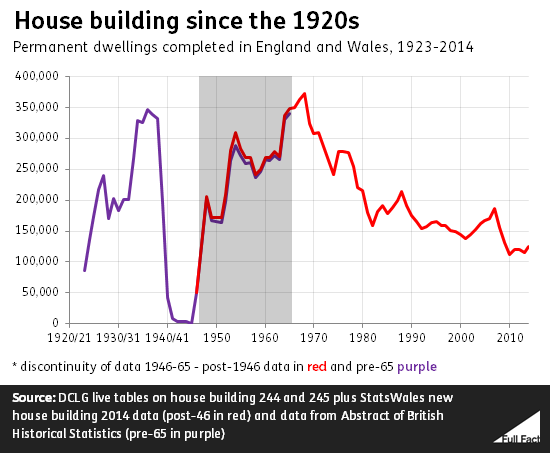 "This government has presided over the lowest level of housebuilding since the 1920s." Only figures for England and Wales are readily available this far back. The claim checks out on that basis, provided you make an exception for the Second World War when house building plummeted. So the claim should make clear this government has presided over the lowest level of peacetime house building levels since the 1920s, in England and Wales. It is also worth pointing out that relative to previous levels of house building over this period, the levels seen today are not that dissimilar to what they were in the last year of the last Labour government. "There are now 11 million people who rent their homes, most of whom say they would like to buy." The source of the 11 million estimate is unclear, although Shelter has produced an estimate of 11 million as well using official figures. Official figures for rented tenure are expressed in terms of number of households. According to the data for 2013/14 from the English Housing Survey, there were 4.4 million private rented households. Applying an average household size of 2.5 persons per household, also from the English Housing Survey, gives an estimate of 11 million people. We also know from the same survey that 61% of private renters expect to buy. Whether those people want to buy, as per Mr Miliband's claim, is a different question. 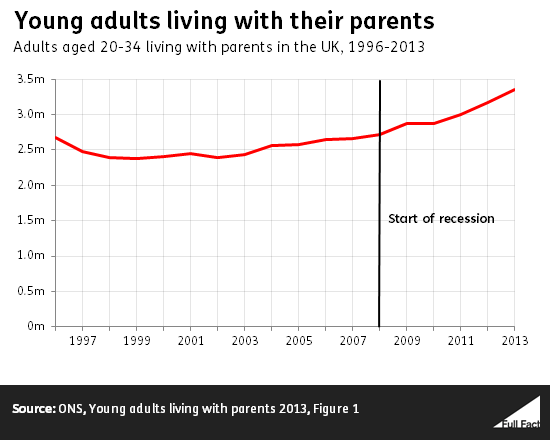 "There are almost three and a half million young adults living with their parents." The number is accurate: over 3.3 million people aged between 20 and 34 were living with their parents in 2013, accounting for 26% of that age group. The figure has been growing since 2002 when it was at 2.4 million, while between 2008 and 2013 it grew by over half a million. The population for the concerned age group has remained more or less the same during this period. Are homes sold under Right to Buy being replaced?